This a game to practive vocabulary words. Players play the same game as the Tic-Tac-Toe but they mus..
Il s'agit de flash cards en anglais sur le thème de l'hiver. 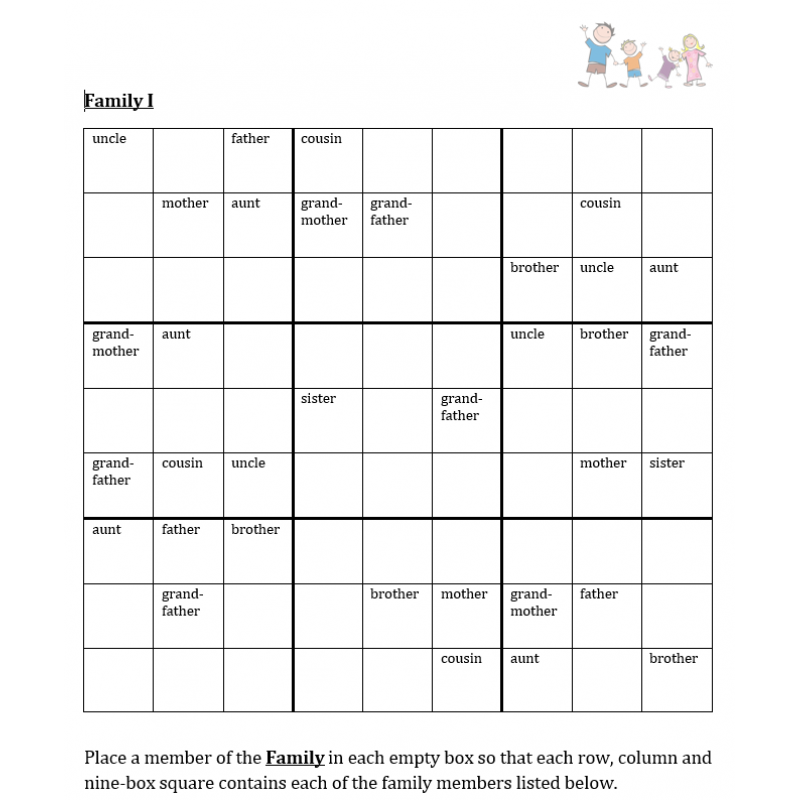 Ces cartes sont..
Sudoku has the names of nine family members that need to be filled in so that each row, column and nine-box square contains each of the family members listed. 5 versions included.